The electronically-controlled Honda iGX has been making its way into a wide range of equipment including Honda’s own EM and EB series generators. At first glance, it’s easy to confuse a Honda iGX motor with their GX Series, found in pretty much every piece of commercial-grade small engine equipment. That’s understandable since the iGX is a GX at its core, but the iGX has some unique features that change how you need to operate and care for these motors. What Makes an iGX engine different? 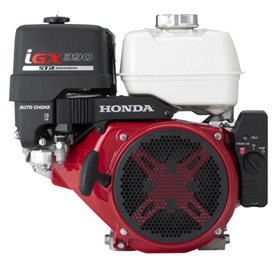 The iGX is based on the GX Series engine, the same design that has been a cornerstone of small engine equipment across the industry, used in everything from generators to pressure washers. The biggest change is the Electronic Control Unit (ECU.) It can read engine conditions and adjust the governor and throttle, keeping the engine at just the right speed to meet current load demands. The result is fast power response and up to a 15% increase in fuel economy. It’s no wonder that these engines first saw use in generators. These engines also use CDI ignition with variable timing and a rev limiter. By varying ignition with engine speed, these motors can produce more power over a wide RPM range. For equipment where space is at a premium, Honda offers low profile versions of these engines. These are easy to identify by the large plastic panel next to the recoil starter. This is the cover for the air cleaner. The muffler is located at the rear of the engine, while fuel is stored on the equipment itself instead of a tank bolted to the motor. The Oil Alert system is designed to protect the engine if it doesn’t have enough oil to stay lubricated. It works a little differently on the iGX than it does on other Honda engines: on some motors, the ECM, located directly above the carburetor, has a small LED light. If it flashes twice, the Oil Alert system has been triggered. On other models, the Oil Alert light is clearly visible next to the ignition switch and will either blink continuously or stay on once the system has been triggered. Most models will shut down to protect the motor, but if a shutdown may be dangerous due to the type of attached equipment, the motor may keep running. If you see the light come on, try to shut down the motor as quickly and safely as possible. Add more oil as needed before starting the engine again. To start an engine with electric start, turn the ignition switch to “Start.” On these engines, the choke is engaged automatically. If it doesn’t start after 5 seconds, release the switch and wait 10 seconds before starting again. If it refuses to start, switch the manual start lever, located next to the ECM, to “On.” Turn the ignition to “On,” then use the recoil starter to start the engine. Don’t move the manual start lever until shutting down the motor. To start an engine without electric start, locate the fuel lever (lower lever) and choke lever (upper lever) on the carburetor. If you have a low profile engine, which places the muffler and air cleaner behind the engine instead of above it, there will only be a choke lever. If you have an iGX270 or 390, the choke is automatic, so the sole lever is for fuel. Set the fuel lever to open and the choke to closed, as applicable. Turn the ignition switch to “On” and use the recoil starter to start the motor. One or more automotive fuses are used to protect the motor’s electrical system. These fuses are in a clearly marked fuse box on the side of the iGX440, while other motors will have an in-line fuse behind the ignition switch panel on electric start models. A burnt fuse will keep the engine from starting. The serial number and engine model on any iGX can be found on the crankcase directly above the oil drain plug. 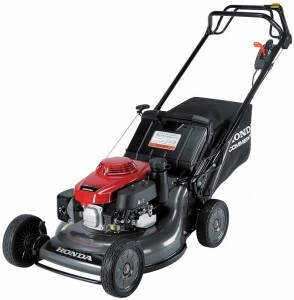 www.hondalawnparts.com is a certified Honda Small Engine Equipment dealer, carrying everything you need for Honda small engines and equipment from older lawn tractors to advanced powerplants like the iGX. Our site makes finding parts easy thanks to factory parts diagrams and information built into our search engine. We can ship your order to any address in the U.S. and Canada. The HRX is Honda’s line of top performing mowers, offering all the company’s latest technical advancements including a few industry firsts. What makes these mowers stand out? 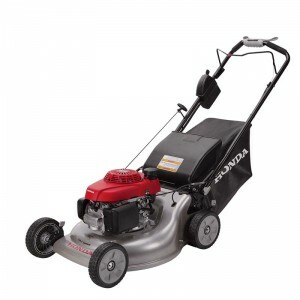 All HRX mowers use Honda’s MicroCut twin blade cutting system. This design pairs two uniquely shaped blades that sit on top of each other, cutting grass twice in the first pass for smaller clippings when collecting or discharging. When mulching, the dual action chops up grass faster, helping the mower deal with thick and wet grass that would clog other mulching mowers. Which Honda Mower is Right for You? 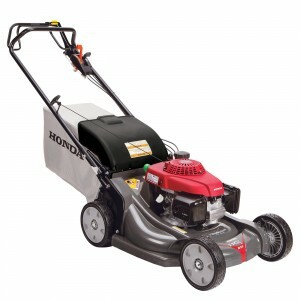 Looking to buy a Honda walk behind mower? With over a dozen models to choose from spread over three ranges, picking the right one can be confusing. Here’s what you need to know to find the right mower for your needs. 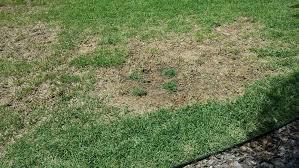 Having problems getting that high-quality lawn you crave? Before you start spending serious money on new equipment and care, make sure you aren’t making one of these common, easy-to-fix mistakes. To get a quality finish and a healthy lawn, your mower needs to be able to make a clean cut across the grass as it mows. This guide will walk you through inspecting and sharpening your mower’s blade to ensure your mower will slice through blades of grass instead of bruising and breaking them. 1. Disconnect the spark plug wire to prevent an accidental start. 2. Tip the lawn mower up on its side so that the carburetor is facing up to prevent flooding. 3. Mark the side of the blade facing out with a permanent marker or some spray paint. This way you’ll know which way the blade will need to be installed after sharpening.